With Wee Warhols summer camp approaching, I have been reminiscing about water days past. There was one rainy summer day that we brought water day indoors. Nothing stops us from having fun! 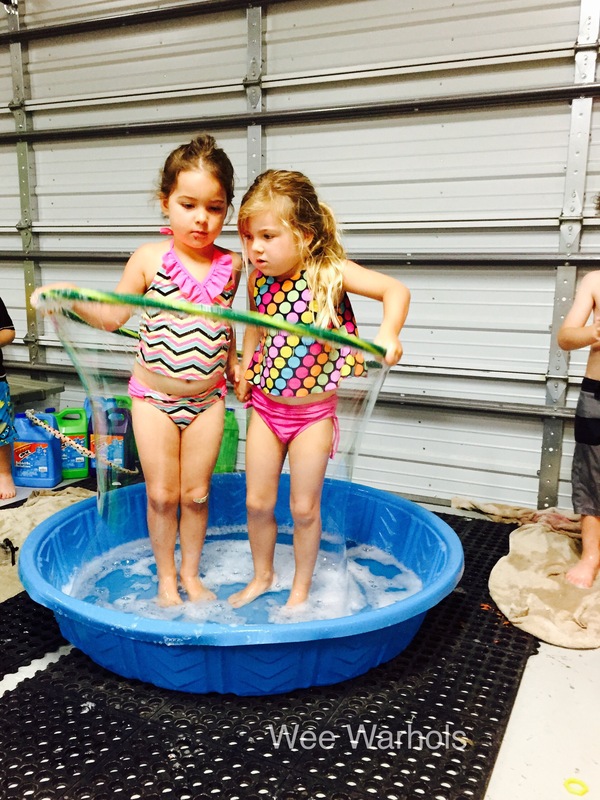 I filled up a small pool with gallons and gallons of bubbles. 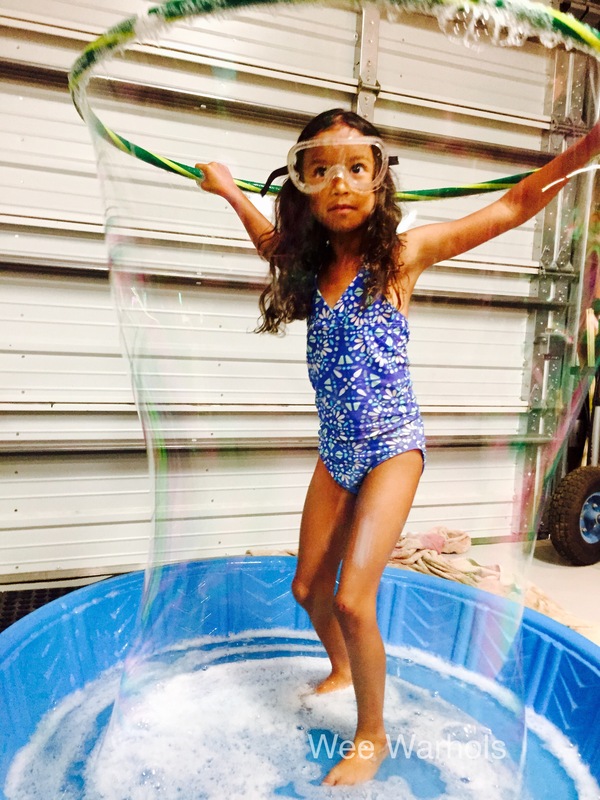 I have seen homemade bubble recipes, but I bought our bubbles for this summer fun activity. 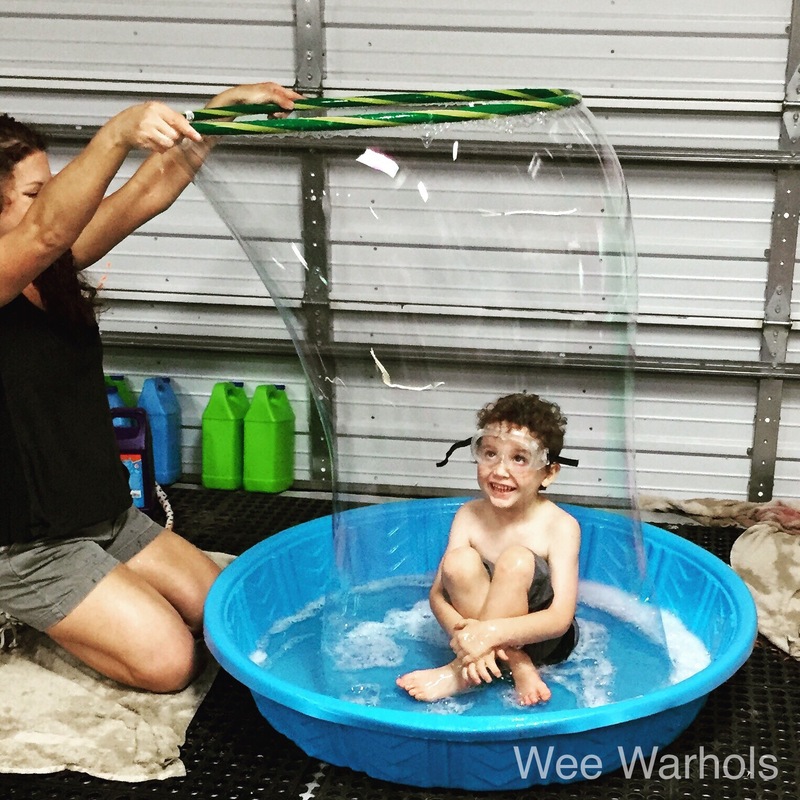 We used a small hula hoop to spread the bubble. I had wrapped one with fabric thinking that it would grab the bubbles better, but quickly found out that didn’t work well. All you need is a clean hoop. The kids loved the massive size of the bubble surrounding them. Some of the Wee Warhols were eager to pop the bubble, while others stood straight as a rail with no movement. We used safety glasses to protect them from the bubble spray. Some of the kids wanted to do it on their own, or worked together to pull it up over them. This was such a fun summer fun play activity. Warning: I did not think about how I was going to clean this up afterwards. It was a bit of a process.